This is one very nice performing radio with plenty of audio and great sensitivity across the dial, and a beautiful original cabinet to boot! A five-tube, SB (AM) only AC radio, it was manufactured by the Delco radio division of United Motors Service, all part of GM. Joe went through the chassis, replacing all of the capacitors, checked resistors and tubes and replaced where needed. A new power cord, alignment and dial cover, and the radio was ready to roll. Gary simply buffed the original cabinet to a beautiful luster. 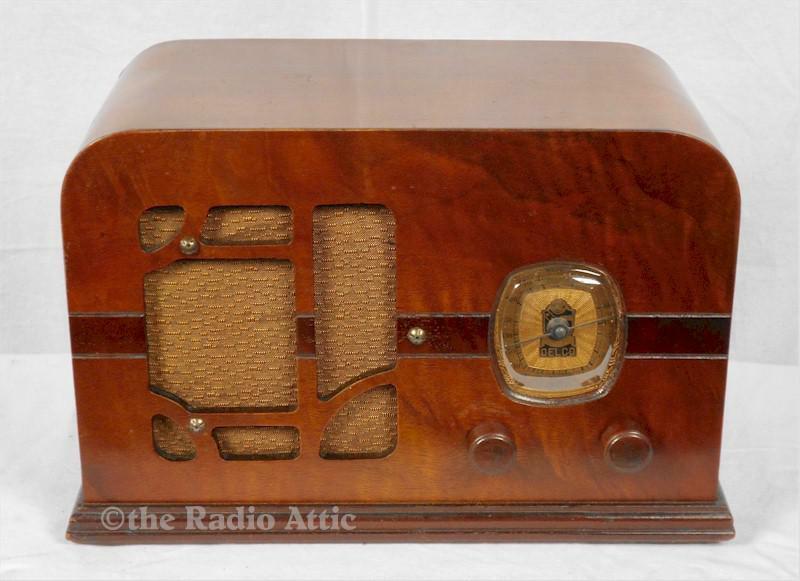 As most brands, Delco radios are getting harder to find, and this one is gorgeous! 12"W x 8"H x 6"D.
You are visitor number 1,121 to this page.